OR you may also provide gift cards or items needed by the group. Check out their wish list. Randy and Linda volunteered their time in November 2010 at the Hidden Springs barn to make a memorable afternoon for these special children and their parents. Lots of dancing and playing. 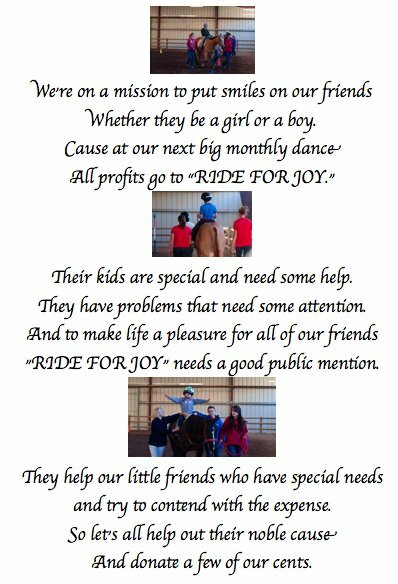 With your donation these children will be able to lead more productive lives with the fun and therapy they receive from the Ride for Joy horses.